Critical Capabilities for Unified Communications | 8x8, Inc.
Unified communications can be defined as an amalgamation of different communication channels. This means that Unified communications or UC sports several different communication channels like VoIP, MMS, video and/or audio chat, SMS, email, all within one comprehensive bundle. Hence they are a viable communication choice for businesses ranging to small scale to large enterprises. All the feature sets that UC boasts looks amazing on paper, but how well do they translate to real life usage? Do the users see these features in action on a daily basis or are they there just to fill a brochure? The critical capabilities for Unified Communications tools report gauges UCaaS functionalities on a variety of factors, helping businesses make the right decision for their communication needs. When we review the critical capabilities of Unified Communications, we can sway with confidence that they revolutionized how we use telephony. Small businesses and startup use UC to avail the benefits of VoIP telephony along with internet messaging tools. VoIP facilitates voice calling through the internet. In comparison with conventional telephony, which uses telephone lines, VoIP is more reliable with better call quality and comes at a lower price. 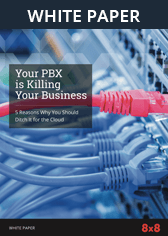 The other major advantage is that VoIP demands no hardware requirement from the business to scale. Hence, the system can scale with the company, adding connection lines as needed without requiring any hardware or other complications. With UC, businesses will also have their assortments of internet messaging services like email, MMS and web chat, however, they are not used to an extent where VoIP is employed. Medium scale businesses can expect a fair share of incoming calls on a daily basis and the outgoing call may even be higher when we compare the two. This is why we see medium scale businesses opt for UC as it can provide them with call center capabilities in addition to the regular span of high tech communication solutions. Again VoIP is employed to replace all the legacy telephone systems. We also see that medium scale companies or business tend to employ MMS and SMS marketing campaigns. They also play an integral role in facilitating team messaging. With medium scale business, we see that the company tends to segregate its employees into teams so that they can better manage certain aspects of the company. Hence, the major objective here for communication is to facilitate collaboration between different workgroup or teammates. Medium scale businesses also opt for powerful tiers of UC software so that they have better control over the data generated through each communication system. However, maintaining UC servers for employees becomes arduous after the populous grows beyond a specific number. In such cases, companies use UCaaS or Unified Communications as a Service rather than on-premise UC systems. In UCaaS, the service providers host all the hardware and processing while the users can enjoy all the perks of UC by installing a tailored software on their devices. In this case, scaling does not require the business to buy expensive hardware, instead, they can just buy more processing power from the service provider. The full potential of a Unified communication system is unlocked by enterprise-level use, where contact centers and customer care centers are actively employed. With enterprises, there is an increasing need for multimedia collaboration tools like video and audio conferencing, team messaging, MMS etc. Since an enterprise usually consists of multiple divisions that spread out across countries, UC provides voice and audio capabilities that enable them to connect globally without paying a huge amount of money. UC channels are also used for marketing, the prime drivers being MMS and SMS. MMS marketing utilizes multimedia chat options to notify users of new offers and other notifications. With MMS, companies can send images and videos to the recipient. SMS marketing lacks on the multimedia options, but it is proven to turn in more conversion due to its concise nature. Due to the dynamic nature present in every large enterprise, most of them use UCaaS instead of UC systems. This ensures easy scalability plus the added advantage of not worrying about any hardware requirement. Also, UCaaS provides the foundation for Contact Centers, which again uses all the latest communication channels. UCaaS functions are available on both mobile and computers. Since no specific hardware is required, UCaaS is lightweight and less resource hungry. For any business, no matter its size, opting for a UCaaS system is definitely worth the investment.